Japan is not just about food and temples. Its beaches are just as spectacular. Here are some must-visit beaches of the Island nation. There is a lot more to Japan than its rich culture, Sushi and Cherry Blossoms. Did you know Japan has the most amazing beaches as well? (ALSO SEE Arashiyama Bamboo Forest in Japan: Stunning Photos That Will Make Your Day) Here are four of the most underrated and must-visit beaches. A famous spot for a sunset view Goshikihama is a beach of colourful pebbles. The name Goshiki (meaning five colours) comes from the fact that the pebbles filling the beach shine in five different colours like gems when washed in water. The place is known for its beautiful sunset view, with the splendid sight of the sun setting on the horizon. The pebbles show even more delicate tones as the sky changes colour at dusk. The glittering sea reflecting the red sun rays are in harmony with the colourful pebbles. The road along the beach is called Sunset Line. You can see the setting sun from anywhere on this road. 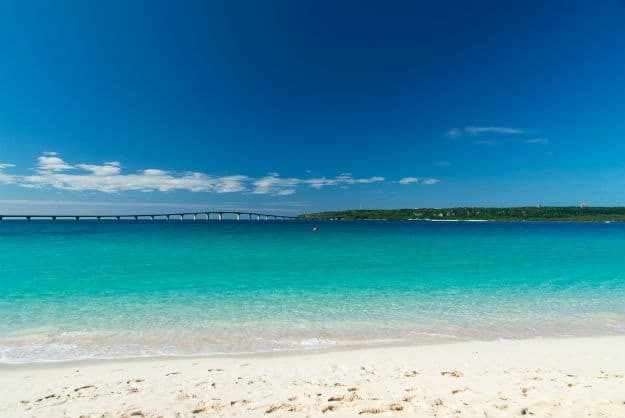 This is a resort beach that represents an isolated island of Okinawa, Miyako Island, and is a place which a considerable number of tourists from Japan and abroad visit. Marine sports such as snorkelling, yacht, boat, and jet-ski, are very popular here. In addition, there are stalls, restaurants, showers, and changing rooms. An environment for spending the entire day at the beach has been established. 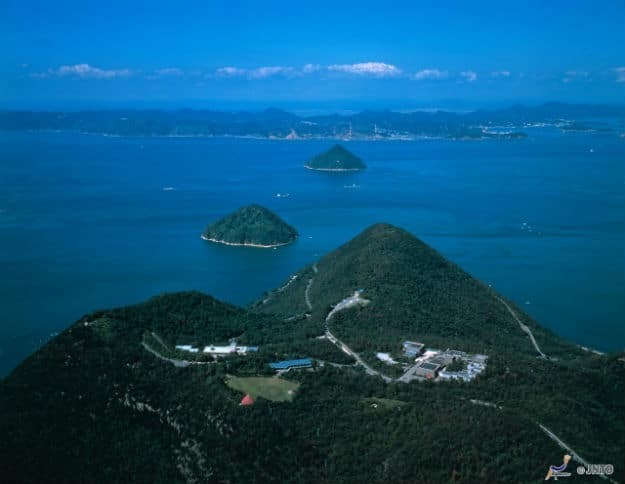 As Miyako Island is a tropical island, you can enjoy sea bathing all year. However, stay in April requires attention. An iron man race is held around that time every year, and over 1,000 athletes flood into this beach. So, make sure to set a travel schedule after checking on relevant information. Chirihama is a coast in the Hokuriku Region, facing the Sea of Japan. Because natural shellfish such as Japanese littleneck and common orient clams are produced here, small stalls selling hamayaki (grilled shellfish and fish caught in the sea) are set up along the coast from spring to summer. Casual stallholders luring customers, and the savoury fragrance of grilled seafood, are characteristic features of this place. There is a road named ‘Chirihama Nagisa Driveway,’ which is famous as the only place in Japan where cars can be driven on the edge of the surf. 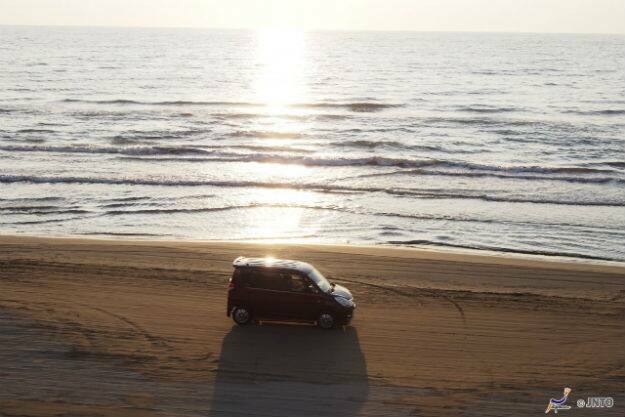 You can drive about 8 kms along the beach and feel the sea breeze. 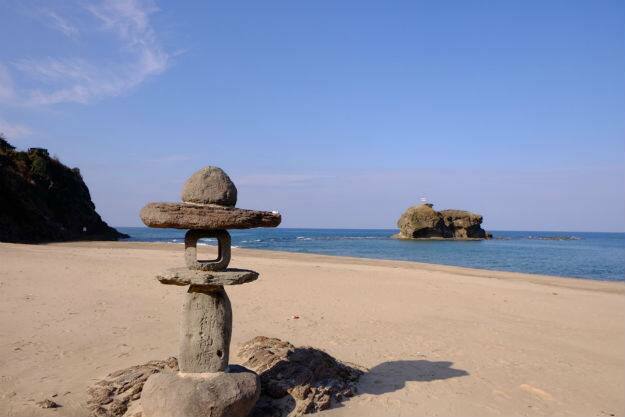 Hakuto Coast is a beautiful beach of white sand. It is included as one of the 100 selected beaches in Japan, and is a popular spot for sea bathing in summer and surfing in winter. You can see the pretty pink Japanese rose flowers, for which this place is the southern limit for growing naturally. So, if you are looking for an amazing trip abroad with your family, Japan is your best bet!